In session one, you’ll begin to discover your personal brand – that unique light inside of you that will allow you to impact the lives of thousands if not millions of people just by being who you are. 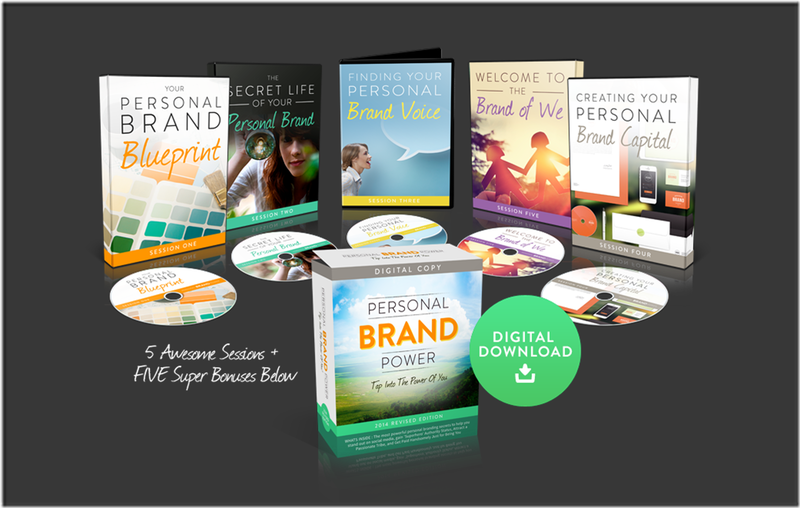 Discover the very same secret of amplification used by superstars like Oprah, Tony Robbins, and Richard Branson – which allows you to accentuate and amplify the best of who you are and attract fans like a magnet. Master the formula for uncovering your Superpower: The one unique and amazing quality that you and only you possess – and the one that will set you apart from everyone else in your market. You’ll learn to decipher the tiny (but vitally important) signals that cause your prospects to form an opinion about you – and use them to instantly capture their hearts and minds. Session 3 is all about tapping into the unique “voice” that underlies everything you communicate to the world – and affects how your prospects react to you. You’ll learn to take all the unique qualities that make you who you are – and use them to create a distinct personal brand voice that your fans will recognize from a mile away. Harness the power of your values and beliefs to craft your superhero story, your bio – and the mottos, slogans and phrases you use to communicate with the world. Use my personal (and unshared until now) tactics for using the busy, noisy venues of social media & email in a way that reinforces your personal brand to your target audience – and allows you to stand out above all the noise. Session five focuses on building a brand of “we” by bringing more of the right people into your network – and pulling your existing customers even closer to your brand. Learn the secrets of bringing new people into your world – and expertly nurturing those who have already embraced your brand. Cash in on my off-the-radar strategies to keep your tribe super engaged and build a deeper level of community — not just between you and your audience, but also with each other. [CENTER]Acquire the skills to act as your own personal brand ambassador every moment of every day to build deep and lucrative customer relationships with your existing customers to ensure they come back to you again and again.